Further views of the quarry can be seen on my Flickr photo site. Looking down the short exit incline to Blaen y Cwm quarry with Rhiwbach quarry in the distance. Most quarries dispatched their slate down inclines rather than up so allowing them to use gravity power. However, because they were below the level of the tramway, this quarry and Rhiwbach were compelled to use powered inclines, which added to operating costs. 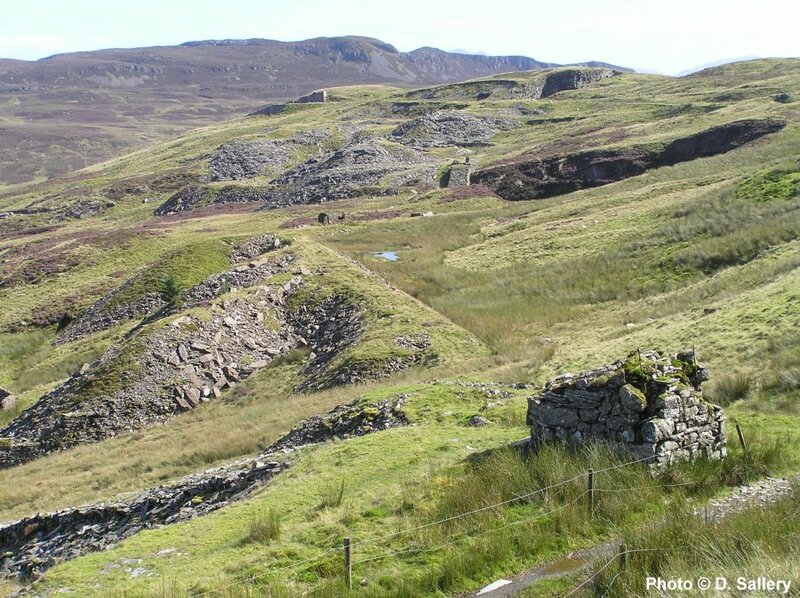 Blaen y Cwm, the smallest quarry served by the tramway closed around 1914. 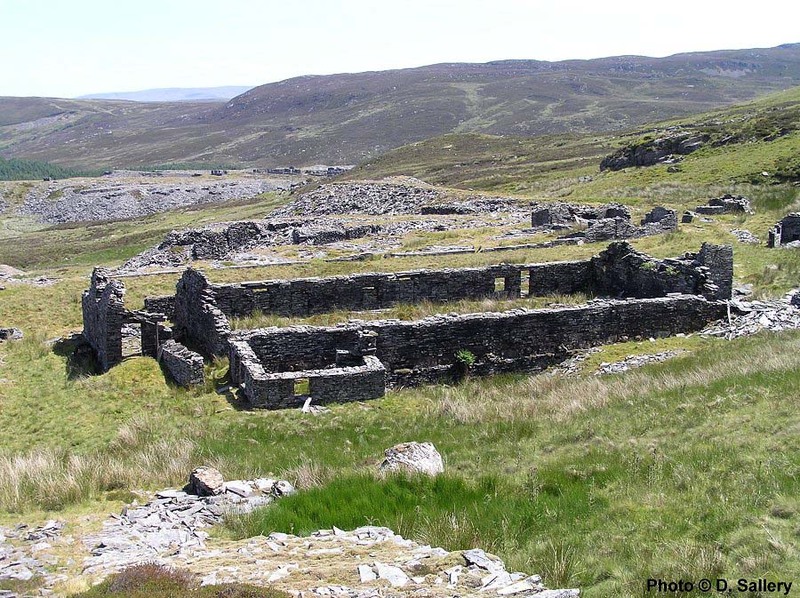 The quarry worked three distinct sites over its lifetime - none of which could be described as successful. 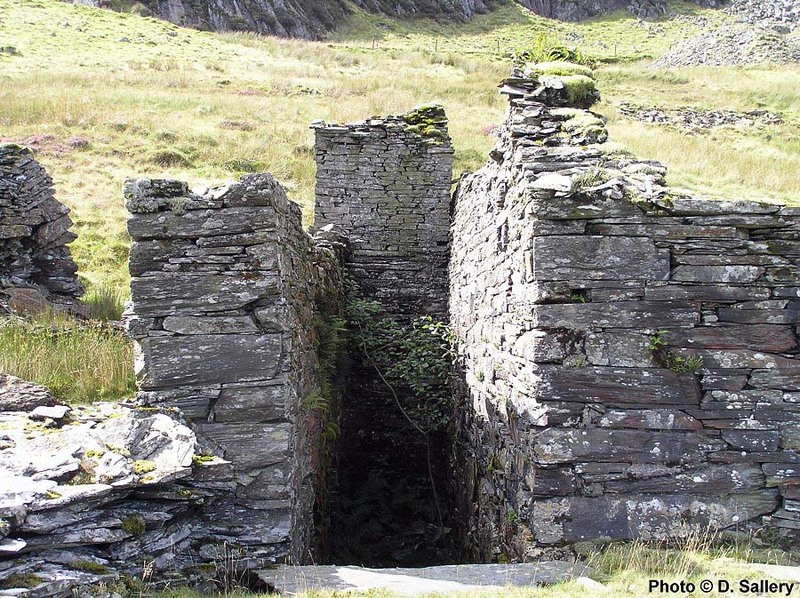 The main feature on the site is the slate dressing mill, at the side of which are the remains of a steam boiler. 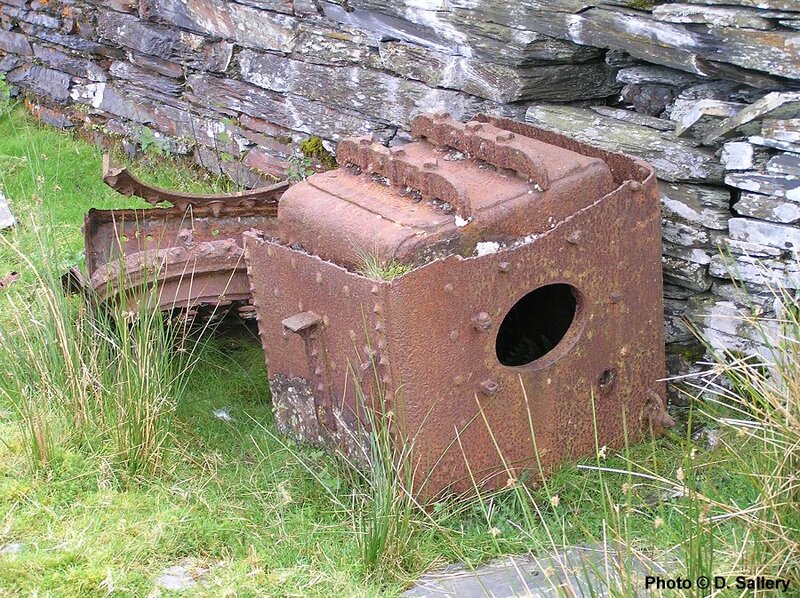 This boiler would have been used to power the incline up to the Rhiwbach Tramway. 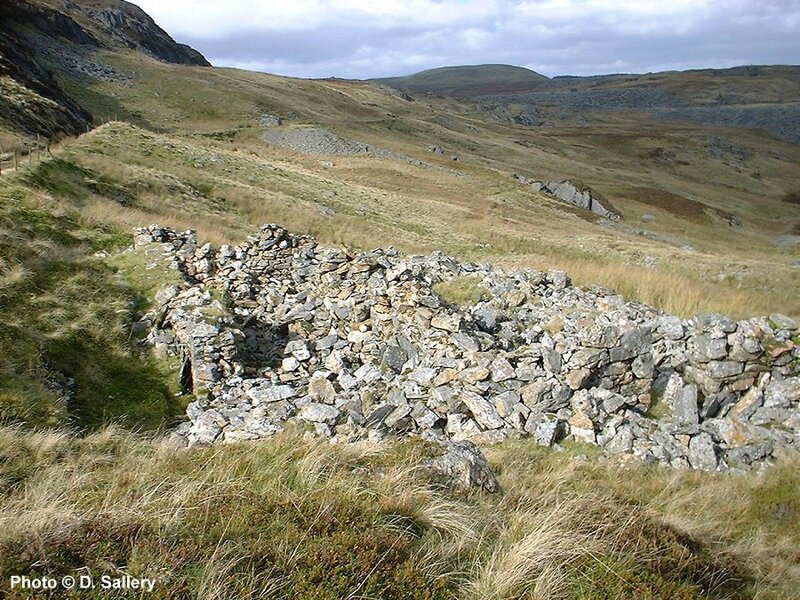 A number of other structures exist, including several weighbridge house ruins. Few records exist of the tonnages produced here but it was at best a marginal undertaking. The most interesting artifact at the quarry is this old steam boiler. It seems clear that the scrapman could'nt justify the expense of removing it . However, all the copper tubes have been removed to leave just the shell. 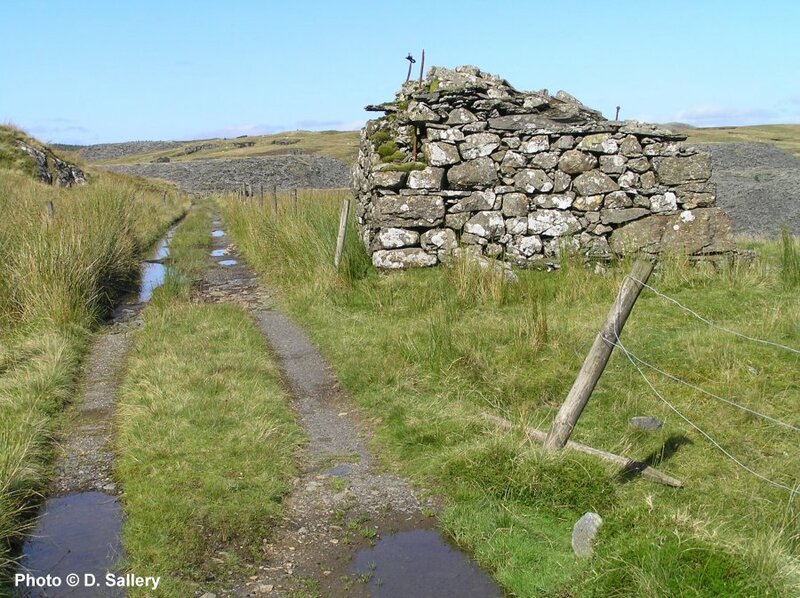 All that is left of the barracks block of Blaen y Cwm. The head of the Blaen y Cwm incline, Rhiwbach Tramway route on the left. 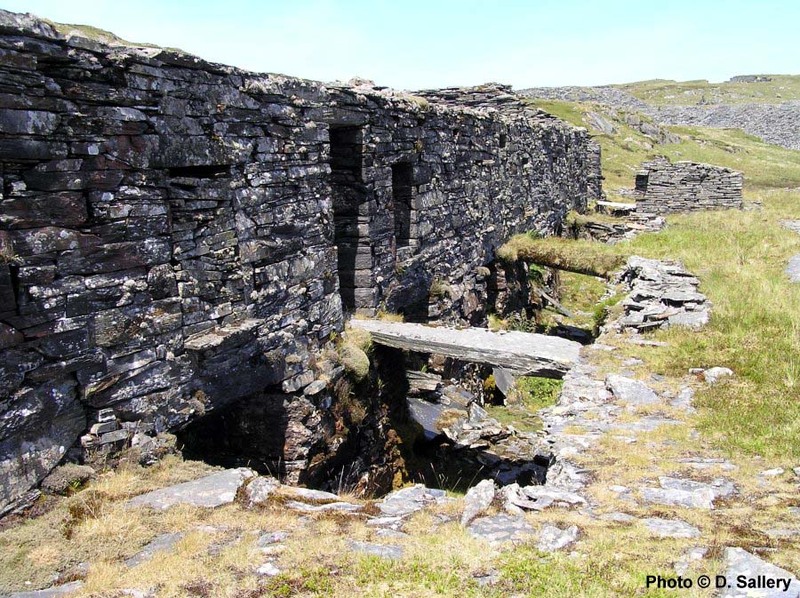 This structure formerly had a horizontal sheave wheel powered from the bottom of the incline. Waste tips of Blaen y Cwm. The Blaen y Cwm incline head is in the foreground and the Rhiwbach incline head is in the top background. The pit for the water wheel, situated at the end of the dressing shed. At the side of the dressing shed, at a lower level, ran a tramway to take waste rock away. 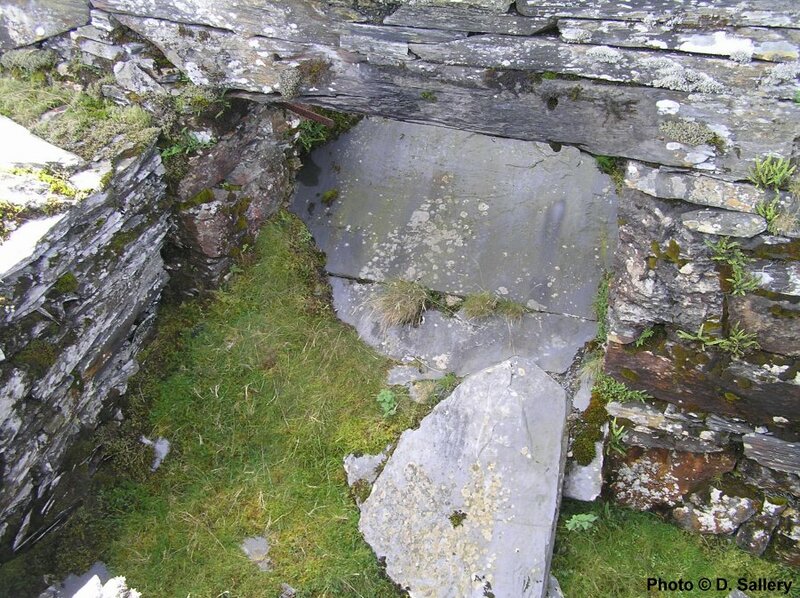 The waste rock from slate dressing was tipped down chutes into wagons waiting below.